I love Rena Levi Skin Care products and have sold them on my website for many years now. She has products that really make a difference to the skin. The Amazing Scrub which is as professional as any mask/peel that you have ever used. to her Vanishing Act Soap, which is perfect for anti-aging and acne. Rena’s prices are so reasonable. There is another brand that has a soap similar to hers and it sells for over $100.00. Her latest is her Super Firming Cream for the neck, face and jowl area. Use her antioxidant lotion underneath. I love it. Also her Refresh and Restore Eye Serum. 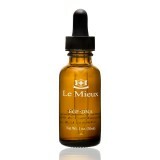 It is loaded with peptides and helps with those fine lines and wrinkles. It evens helps get rid of that crepy skin. Rena has 2 distinct product lines. One for acne and the other for anti-aging. Some products may be used for both. You may purchase these products on my website and read up on them. You will automatically save with a discount coupon in the shopping cart.